In this work we integrate two basic control approaches: velocity and torque control. By that we achieve better performance in controlling mobile manipulator for service robotic tasks. The aim of the work is a development of a combined control. The combined control is a novel framework for robot control that integrates two different types of control, i.e. velocity control and torque control in only one robot system. 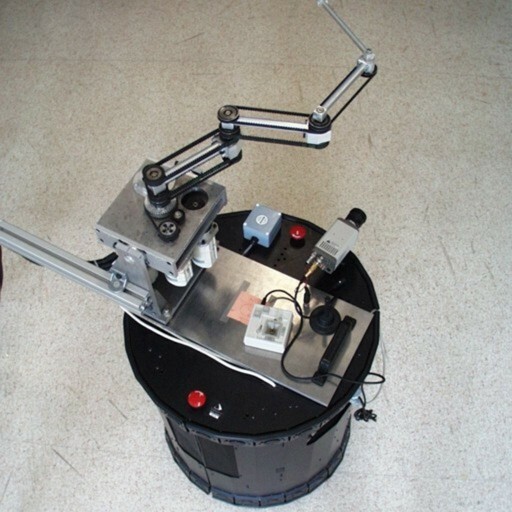 An example of such systems is mobile manipulator, where a manipulator is torque controlled and a platform is only velocity controlled. Using combined control the performance of the system is much better comparing to the completely velocity controlled system. The proposed method solves also the problem of moving and acting in unstructured human environments using only limited set of sensors. The work deals also with the mathematical analysis of the combined control.